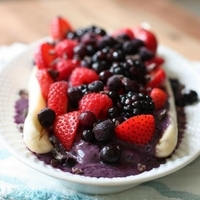 Recipe by Tracey Long, Big Picture Health. 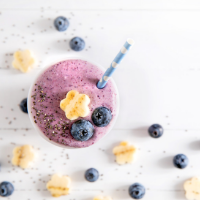 In order listed add all ingredients, except for the collagen powder, to a blender or smoothie blender cup such as a Nutribullet. Blend until smooth. Add additional liquid, if needed, for desired consistency. Add collagen powder and blend for just a few seconds until mixed in. 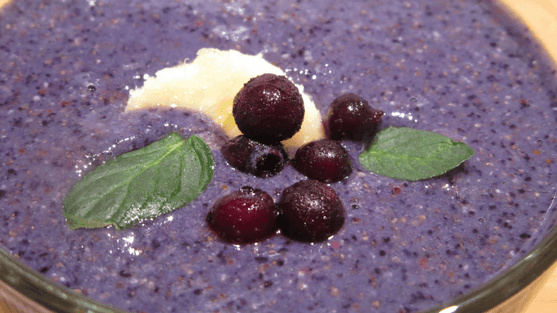 Garnish with a few frozen blueberries, a banana slice and a couple of mint leaves.